Resignation Letter has to be submitted when a person wants to formally notify his or her employer of the decision to switch jobs or quit from the company. A letter of resignation is drafted in various formats depending on the circumstances. You may be quitting your job in search of other opportunities or might want to start a new business of your own. In any of these cases you should write your resignation letter tactfully. Many people find this to be the toughest part of resigning from your job. 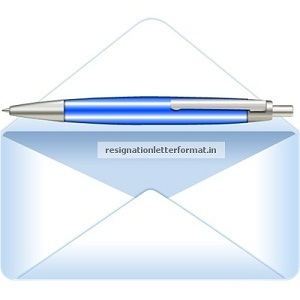 Don’t worry this site will help you format your letter of resignation. But before you start and simply write down your frustration into your resignation letter you might want to consider this – Your Resignation Letter is your last official correspondence with your previous employer. Your letter of resignation will stay with your employer even when you are gone. Never resign on a negative note, click here to know why. We have compiled a set of pages to help you in the resignation process. The Dos and Don’ts of writing a resignation letter. What to include and what to leave out. A standard format of resignation letter. Explains what should be written paragraph wise. this site and create your resignation letter. resign from your job. This is a sample resignation letter with notice period.